​​​​​KATY, SUGAR LAND, SAN ANTONIO – Heitman has acquired seven Texas buildings as part of a 17-building, Class A medical office portfolio spanning seven states. 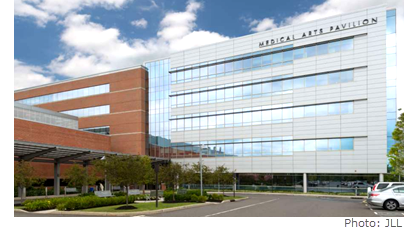 The properties, known as the Partners Health Trust medical office portfolio, total 1.4 million sf and are 96 percent leased. The Katy and Sugar Land buildings are occupied by Memorial Hermann. Medical Plaza II, 17520 W. Grand Pkwy. South.